Designing a leader in the quilting industry. One product at a time. The first to offer die cutting in the quilting space, Accuquilt needed a flagship product for their new brand. Fahrenheit helped Accuquilt from initial concept to finished product with the Accuquilt Go! Die Cutter. 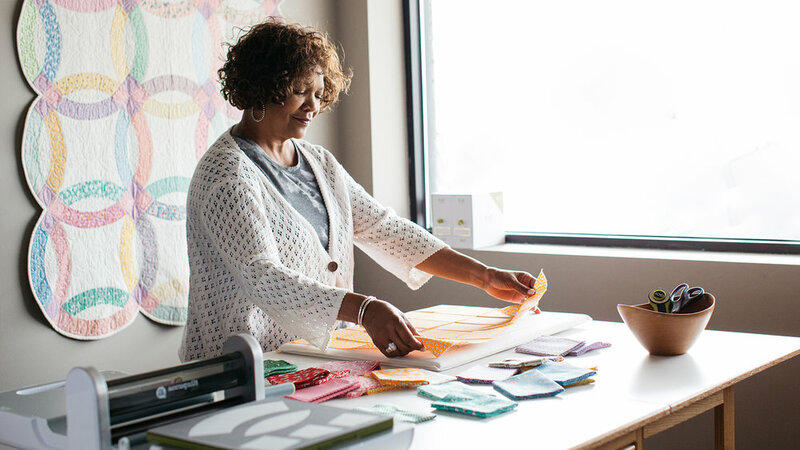 After the tremendous success of this award-winning product, Accuquilt worked with Fahrenheit to design the next product in their family, the Accuquilt Go! Baby. As much as 90% faster than traditional cutting methods, fabric is placed on dies and then sent through two rollers, creating fast and precise cuts. Portable and intuitive, this product family has several features that appeal to quilters of all skill and use levels, while maintaining a design that is both innovative and timeless.